Ever had that feeling during class that there’s a lot more to know about a certain pose, or alignment technique, or idea, but the teacher is only giving you a piece of it because of time constraints? Are you curious about the process of becoming a teacher or just deepening your understanding of all the limbs of yoga? 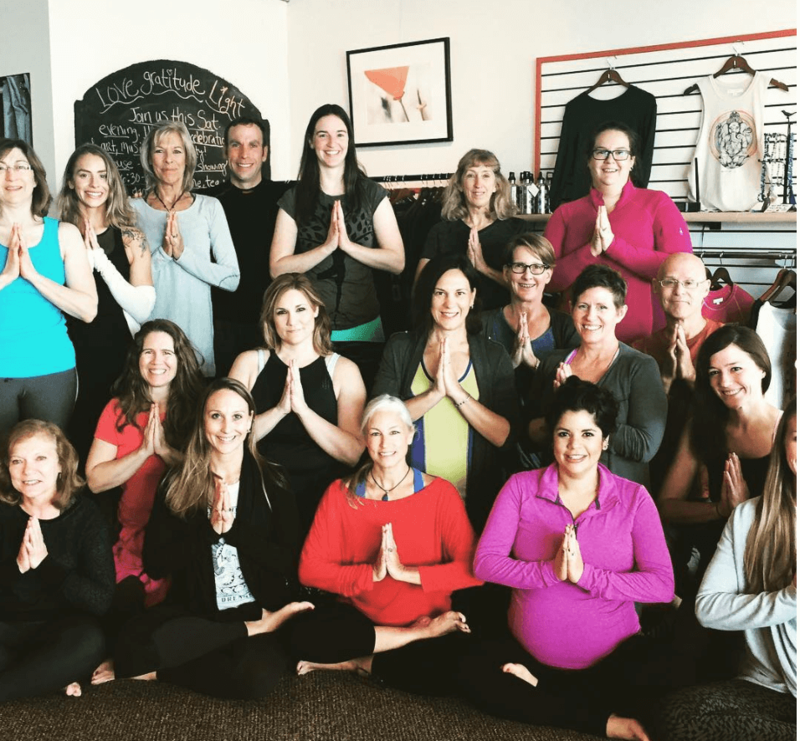 Consider joining our Teacher Training program! Rather than learning one set style or sequence, this program explores the world of yoga and encourages you to find your own unique voice, style or focus area. You gain the benefit of learning from two teachers with diverse styles and backgrounds. This program is designed for working people over 10 weekends each year (Friday evenings, Saturdays, Sundays). Each weekend offers a focus designed to bring you deeper into your practice and help you more clearly express the art of teaching. You might be concerned that it's all asana. You might be concerned that it's all sitting and listening. Don't panic! Sessions alternate between up-tempo periods of asana practice and contemplative periods of group discussion, meditation and pranayama. You will practice teaching in each weekend session to gain practical experience. Our program is accredited by the Yoga Alliance as a Registered Yoga School. More importantly, we are entering our tenth year in offering this program with success. Our program has earned a 5 Star rating on Yoga Alliance. Christy is an exceptional trainer focused on wellness through personal awareness. Among the first to be certified by Anusara founder John Friend, Christy is senior-level registered yoga teacher (E-RYT 500). In every class, Christy implores her students to “Be the lump of clay and the sculpture too: a Universe of unlimited potential.” She believes that every yoga teacher has a message to share with the world that is far larger than simply aligning parts of the body. Christy’s yoga background is in rehabilitation and personalized training for people of all levels of mobility. Christy travels nationwide offering in depth Yoga Teacher Trainings, Yoga Therapy Trainings, workshops, and retreats. Christy’s approach is based on her strong understanding of body movement and alignment, which is strengthened by her passion in both physical and emotional support for students. With over twenty years of experience in the yoga profession, Christy promotes yoga as a whole body whole life experience. The opening of Darling Yoga with her sister, Sarah in 2007 was a dream come true for Emily who has been teaching yoga since 1993. She began her studies in the rich tradition of Iynenar Yoga and Restorative Yoga. She has also studied Ashtanga, Sivananda and Vinyasa Yoga. Through a beautiful weaving of all, she has a created a style of her own. 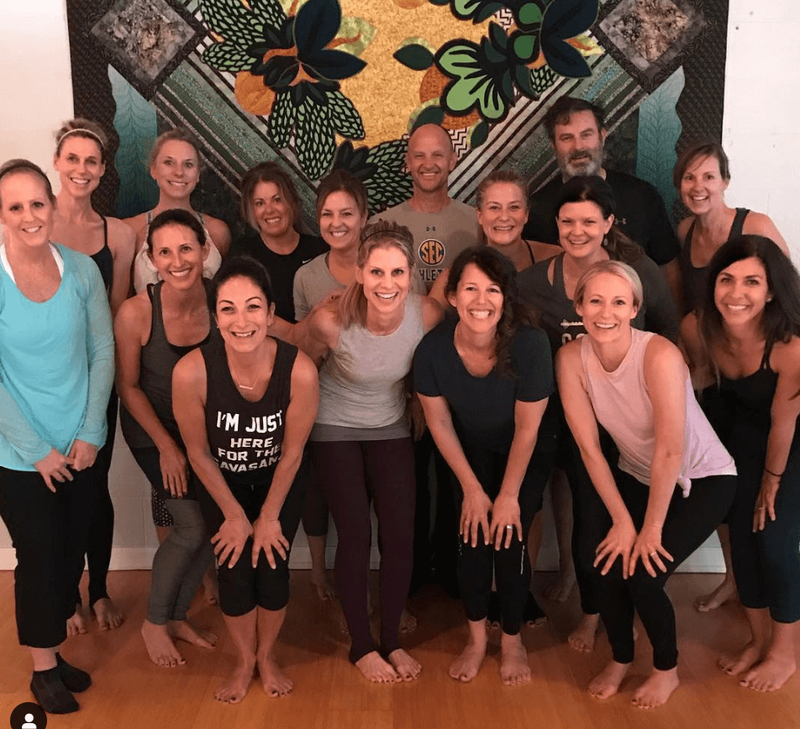 Emily’s graceful flowing classes blend skillful alignment with a deeper awareness that yoga is a practice of going within and connecting to ones’s heart, light and truth. Her nurturing and compassionate nature creates a class atmosphere that is non-competitive, yet challenging. Her orchestration of rest and movement creates inner peace and strength in the body. She is grateful to have trained with world-renown teachers; and is daily inspired by her fellow KC teachers, students and family. As a registered E-RYT 500 level Yoga Alliance teacher, Emily brings a wealth of knowledge and experience to her Darling Yoga’s Teacher Training Program. I am so grateful to Emily Darling and Christy Burnette for their transformational Yoga Teacher Training program. The training greatly deepened my personal yoga practice and prepared me to share yoga with others. I feel ready to begin teaching and also inspired and committed to continuing my own study and practice of yoga as a forever student of this ancient practice. 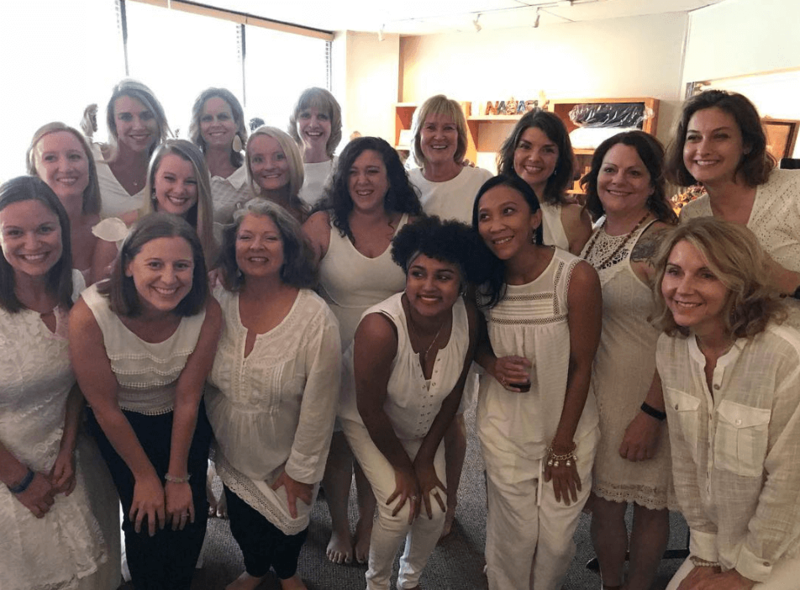 ​Darling Yoga is undoubtedly the best in the midwest region for teacher training or any further information about yoga! They are pros! Darling Yoga not only prepared me to teach but to be a better human being. Attending training was one of the best decisions I ever made. The Darling Yoga teacher-training program offers a well-rounded approach to learning. They do a great job of developing teacher awareness regarding safety in poses, in-depth breath-work, meditation techniques, use of props, importance of workshops, and even conscious music selection is discussed. Highly recommend!! Darling Yoga was the perfect place to get my yoga teacher training. Christy's knowledge of anatomy and yoga is superb, while Emily provides the nurturing and spirituality that I've come to love about my yoga practice. Their year-long program also offers you ample time to digest the information and put it into real-life action, and it also allows you a full year to develop meaningful friendships with your fellow trainees. I highly recommend Darling Yoga for YTT! ​The program being a year long gave each student the time to absorb and reflect on what was learned each month. 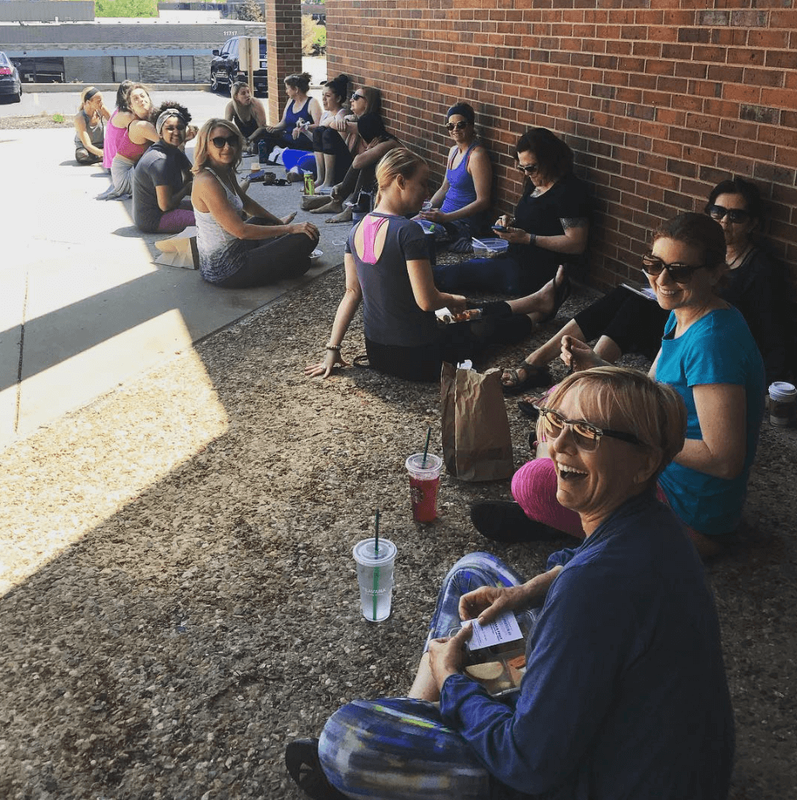 I felt like the goal of the program was to teach yoga not as just a physical practice, but to learn it from the inside out with all of the yamas and niyamas incorporated as well. The instructors each have their own strengths and together teach a solid yoga foundational program. If I were to take yoga training all over again, I would repeat this program. I was beyond thrilled to find a school and program that truly taught the essence of yoga, the full 8-limbed path with accompanying philosophical and spiritual precepts, while also providing clear, practical and concise methods for teaching. I truly could not give this training a higher recommendation. Thank you, Emily and Christy! 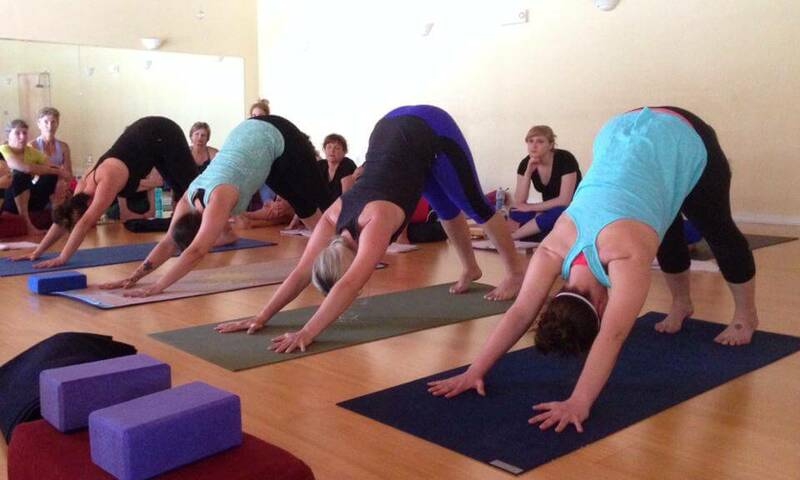 ​YTT at Darling Yoga was such an amazing experience. I would take it again and again and I am sure each time the experiences would be even richer. I learned so much and loved every moment. It was challenging and pushed me to grow but in an amazing way. Just incredible. Darling Yoga teacher training was such a wonderful experience in many ways! 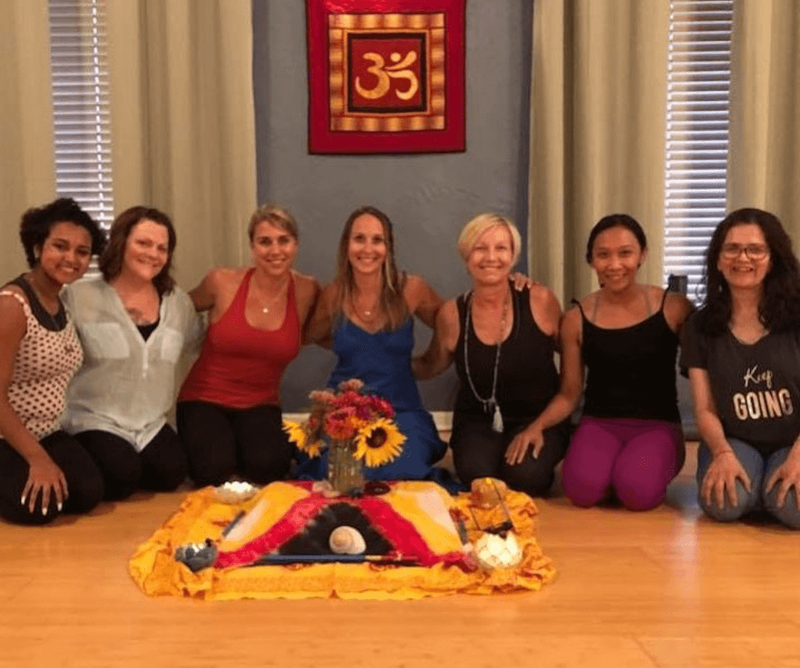 Emily and Christy have a wealth of knowledge of Yoga, and passed it on to all of us in a loving and interesting environment. I was challenged, and yet couldn't wait for the next YTT weekend! I can't imagine any yoga training that could be better than this. 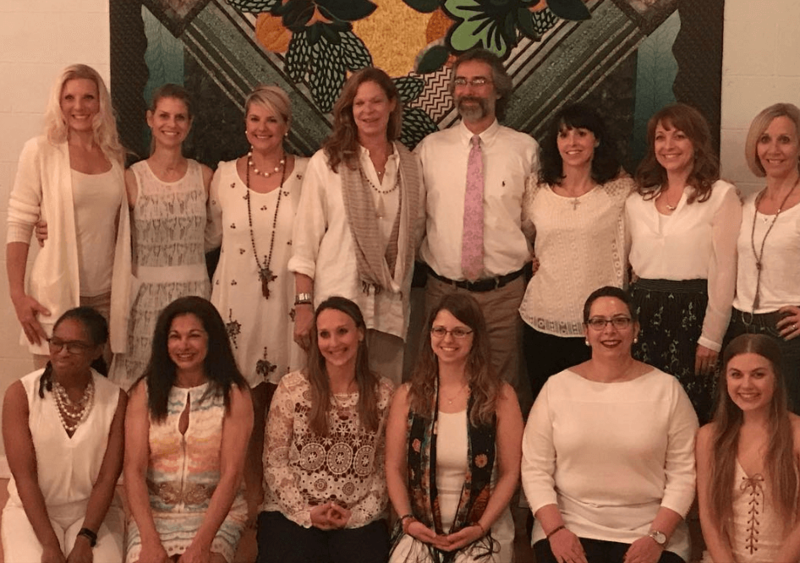 We all learned so much about the history of Yoga, proper alignment, incredible pranayama, and formed lasting friendships with our teachers, and with each other. I am very grateful to Darling Yoga for helping me deepen my own practice, and giving me the tools I needed to pay it forward to my students. I am very grateful to have done teacher training at Darling Yoga. I feel that I learned much about the physical principles of yoga, techniques for effective yoga teaching, and the dimensions of yoga as a spiritual practice. The instructors are knowledgable, caring, and encouraging. 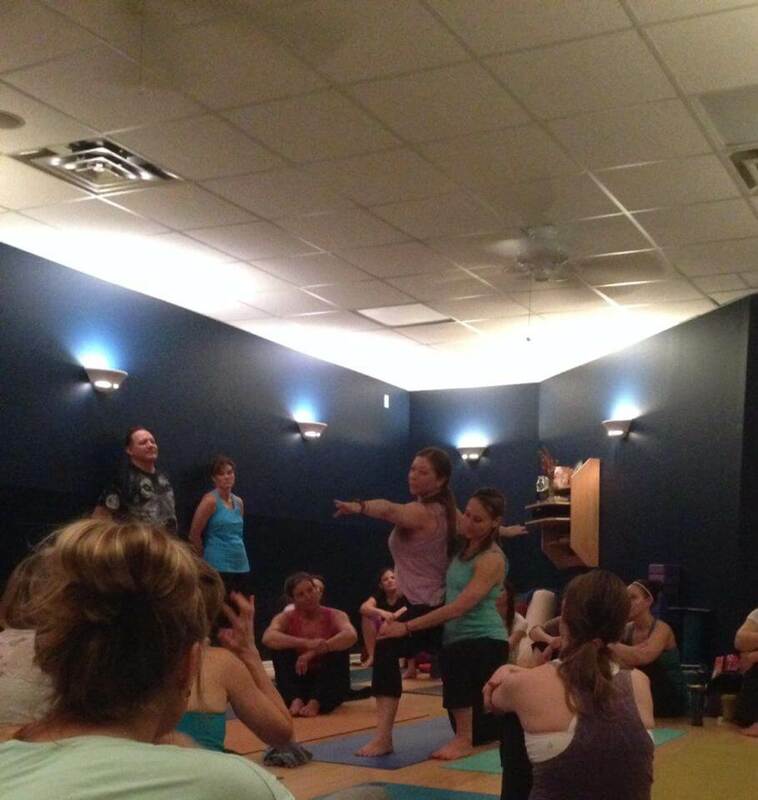 This was a wonderful experience that helped me grow in my yoga practice and teaching!